At the law office of Adam Diran Attorney At Law in San Jose, California, we are fully prepared to help you with the important and pressing legal issues affecting your family today so that you can work to build a more secure and brighter future. As we practice in the same community in which we live, we have a vested interest in ensuring our residents receive the top-notch legal counsel they deserve. By adhering to our core values of integrity, honesty and professionalism, we have earned the respect of those we have served, and our law firm has received top ratings on Yelp and other customer-reviewed sources as well as many referrals from our satisfied clients. 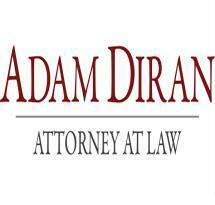 For more information on what all we can do for you, and to ensure you receive the quality representation and support you need, you can contact Adam Diran Attorney At Law by calling our law office or visiting our website to schedule a free initial consultation concerning your matter.